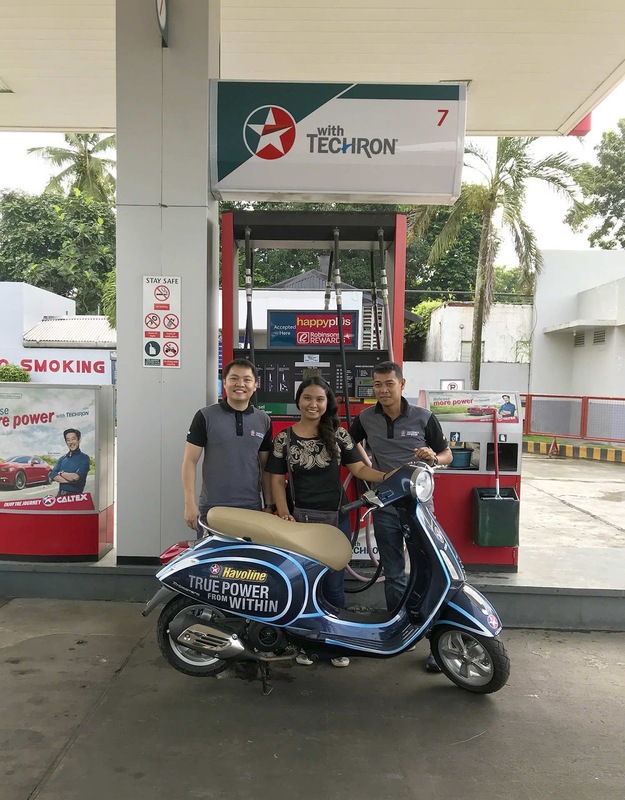 Above photo shows (L-R) Ronald Remoto, Operations Manager, Pauline Rose Temana, Vespa Winner and Rey Dimzon, Trade Marketer. The nationwide promo, launched in conjunction with Michael Bay’s Transformers: The Last Knight, ran from May 1 to July 31. Caltex customers purchasing Havoline, Delo or Techron Concentrate Plus promotional packs received a Transformers: The Last Knight T-shirt or microfiber towel. Other promo prizes included 5 Bose speakers and 10 Robinsons shopping vouchers worth Php2400 each. Customers can avail of any Havoline, Delo or Techron Concentrate Plus in all Caltex stations and authorized resellers nationwide.